In the present study, an adsorbent named chitosan/rice husk ash/nano-γ alumina was prepared and used for the removal of lead ions from aqueous solutions. It was characterized by FESEM, FTIR, XRD, and BET. The important and interactive effects of some considered parameters, such as the initial lead ion concentration, pH, adsorbent mass and contact time, were estimated and optimized by using the central composite design (CCD). The Maximum adsorption efficiency of lead ions under optimum conditions, including the pH of 5, adsorbent mass of 0.01 g, the initial lead ion concentration of 30 ppm, and the contact time of 105 min, was achieved to be 90.98%. The adsorption kinetic was consistent with the pseudo-second-order model (R2 = 0.9967). The lead adsorption isotherms were well fitted to the Langmuir model, indicating the maximum adsorption capacity of 181.82 mg g−1. Thermodynamic parameters (R2: 0.9200, ΔH°: − 22871.81 kJ mol−1, ΔG°: − 10.63 kJ mol−1, and ΔS°: 118.37 kJ mol−1 K−1) were calculated and indicating adsorption process was exothermic and spontaneous in the temperature range of 283.15–313.15 k. The maintenance above 70% capacity of the adsorbent was observed by the regeneration study of chitosan/rice husk ash/nano-γ alumina after six cycles. 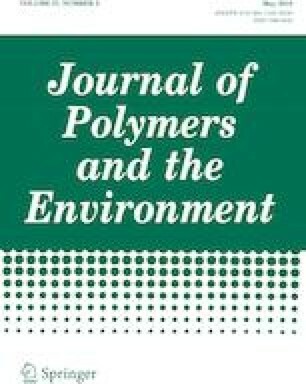 Comparison of adsorption efficiency of the studied adsorbent and other adsorbents in the removal of lead ions was also done in this paper. Consequently, the excellent properties of the presented nanocomposite could make it an ideal adsorbent for the removal of lead ions from aqueous solutions. We gratefully acknowledge the financial assistance provided by the Payame Noor University in Isfahan Research council. Also, the authors appreciate Shahrekord University and the Center of Excellence for Mathematics, Shahrekord University.